· Promptly attending to, correctly diagnoses and appropriately treating patients at our Clinics to enhance customer satisfaction. · Prescribing Medication to the patients at the Clinics. · Conducting external referrals when cases are beyond the Clinics. · Monitoring proper out-patient medical care on daily basis. · Visiting and reviewing patients routinely in the Recovery Rooms when requested by the Clinical Officers. · Ascertaining all medication given under KPA’s Medical Regulations. · Participating in free medical camps as part of the Authority’s Corporate Social Responsibility. · A Master’s Degree in a health related field and/or a Diploma in Industrial & Occupational Health from a recognized institution will be an added advantage. · Have not less than five (5) years’ experience in provision of medical care with at least three (3) years served at a supervisory level. Reporting to the Principal Corporate Applications Officer, the job holder is responsible for business processes for MCC and Marine, identifies existing gaps and carry out business process, re-engineering, draw up business processes flow, coordinate and participate testing of developed modules and assist provide system support to users. · Analyzing business processes to identify gaps and anomalies for resolution by system vendor. · Coordinating and participating in testing of system releases and advice uploads into production environment. · Monitoring system anomalies and either resolve or escalate to Principal Corporate Applications (Ops). · Responding to customer queries related to system availability and training requirement. · Providing system support to end users. · Be a holder of a Bachelor’s Degree in the relevant field or its equivalent from a recognized institution. · Have not less than five (5) years experience in providing support in Business Analysis with at least three (3) years served at a managerial level. Grade HM2Reporting to the Principal Employee Relations Officer, the job holder participates in Industrial relations activities for industrial harmony and realization of the Authority’s objectives. · In consultation attending to the operation of industrial relations Activities to maintain industrial harmony. · Providing advisory services to works committees and first phase in handling serious grievances at Sectional levels. · Conducting regular audits on the implementation of the Employment policies and Collective Agreements. · In liaison conducting surveys on the review of the terms and conditions of employment for Unionisable employees. · Studying and carrying out sensitization programs to ensure all cadres of staff are aware of their obligations to the contract of employment. · Explaining to and guiding staff/workers on the existing channels of addressing their grievances and complaints. · In consultation managing issues affecting the breakdown of industrial relations issues including strikes. · Attending to the resolution of disputes at the district labour offices filed by the Union or by individual employees. · Be a valid member of the Institute of Human Resources Management Kenya and be of good standing. Reporting to the Head of Corporate Development, the jobholder is responsible for the Authority’s strategic planning process and coordinating all aspects of KPA’s planning directions including the preparation of long-term and medium-term strategies, work program and budget frameworks. Monitoring and evaluation of the Authority’s implementation of policies and programmes in line with the Business Plan and long-term development goals including the Master Plan and Vision 2030. · Planning, directing and coordinating implementation of the Authority’s strategic plans and monitoring of programs and projects of Departments. · Organizing coordination meetings on strategic program priorities. · Ensuring policy and operations coordination and maintaining institutional relations with the government and stakeholders especially on matters relating to port development. · Advising Management on national and international policy on development and liaising with Government on development matters. · Tracking and providing feedback on implementation of the Authority’s Policies and Programmes for improved performance/results and accountability. · Ensuring the application and use of monitoring and evaluation at all levels for policy planning, programmes implementation and budgeting. Reporting to the Principal IT Officer (System Administration), the job holder is responsible for ensuring the Authority’s systems and data information is secure and protected against loss, damage, disaster, and intrusion. · Championing security efforts towards compliance with information regulatory standards and best practices. · Ensuring data security and privacy in the Authority. · Setting up access control to data, give authorized user’s privileges and rights on data shares. · Ensuring system security compliance standards when adopting new systems for the Authority. · Liaising with other sections heads within IT in identifying end-user needs and settings quality standards for systems implementation. · Managing reviews of the threats and vulnerabilities on the hardware, software and services rendered to the Authority. · Leading project teams and participates in project implementations. · Ensuring that resource planning is adequate and have the necessary training to accomplish the department’s objectives. · Coordinating and participating in the planning, designing and implementation of security awareness exercises. · Analyzing potential threats and the feasibility of various security measures in order to provide recommendations to the Authority management and take appropriate action. · Analyzing the performance of all hardware, operating system, and applications databases. · Establishing procedures to ensure that privileged accounts are kept to a minimum and that privileged users comply with privileged access practices. · Advising the management on business applications, operating system and data base changing requirements. · Preparing and monitoring service level agreements in order to ensure they meet KPA needs. · Be a valid member of Computer Society of Kenya and of good standing. Reporting to the Principal Administration Officer (Administration & Welfare), the jobholder is responsible for providing leadership in the Time and Attendance function. · Strategic leadership that includes guidance and counselling. · Recommending corrective action after carrying out system analysis. · Managing measures aimed at improving Time Management systems effectiveness. · Running system reports on time events, analysing the same and circulate. · Responding to Audit queries. Reporting to theHead of Litigation and Disputes the job holder is responsible for discharging the function of steering the insurance services to the best advantage of the Authority. In addition, the job holder carries out risk assessment and draws up a risk management programme for the Authority such that residual risks that cannot be managed are transferred via insurance. · Identifying assess and developing a risk profile for the corporation. · Advising Management on various changes in the Insurance Industry. · Arranging Insurances for those risks that can be transferred vide insurance. · Confirming the review of the risks and proposing new risks exposures and striking out risks whose relevance has been outdated. · Arranging for inspections and surveys. · Liaising with Insurance Brokers to arrange for independent experts in the case of disputes and attending to dispute tribunals where necessary. · Reviewing insurance for the various risks. · Liaising with other Departments to get feedback on levels of protection offered. · Ensuring implementation of risks prevention measures recommended by experts. Reporting to the Head of Projects Development and Management, the job holder is responsible for coordination of survey works of all Authority’s land and entrance sea channel and berths. · Overseeing survey/re-survey of lands to be acquired by the Authority for future expansion of the port. · Carrying out preliminary surveys for all new proposed projects as required by engineers/architects. · Supervising surveys for updating plans. · Processing documents for survey purposes. · Cutting and filling excavation works setting horizontal and vertical curves for roads and rails then availing the data to Civil engineers. · Coordinating geodetically navigation beacons to maintain precise world chart coordinates. · Be a holder of a Bachelor’s Degree in Survey Photogrammetry from recognised institution. · Have knowledge of Digital Global Positioning System (DGPS) and Land Information System. · Have not less than five (5) years’ experience in delivery of survey work with at least three (3) years served at a supervisory level. Reporting to the Senior Economist (Projects), the job holder is responsible for technical input on matters of port projects, feasibility studies, and reporting. · Prepare projects proposals and concept papers. · Analyse data to determine viability of projects. · Prepare action plan for project implementation. · Prepare project progress reports, budget, and timelines and proposed funding strategies. · Maintain a database of all projects and prepare quarterly reports. · Engage consultant’s services for the development of feasibility studies, environmental impact assessment for port projects. · Be a valid member of a recognized professional body and be of good standing. Reporting to the Principal Insurance Officer, the jobholder in liaison with the Principal Insurance Officer is responsible for discharging the functions of identifying external and internal risks that the authority may face, evaluating the likely effect of these risks, introducing a range of control measures, monitoring, and evaluating the success of these measures. · Assessing of various risks for the Authority and prepare risk mitigation programme. · Carrying out annual risk inspection and coordinate surveys as requested by underwriters. · Arranging for loss prevention/seminars or sensitizing of staff to appraise them on risk prevention or reduction. · Arranging for accident investigation and surveys. · Liaising with the relevant heads of departments for implementation of recommendations made by the underwriters, surveyors/inspectors as a way of Loss management to reduce ‘down time’. · Monitoring and reviewing the success of control measures and compliance. · Evaluating the nature, working, scope of cover for the Authority’ insurance policies. · Liaising with the Head of Terminal Engineering for an up-dated schedule of Gantry Cranes and heavy forklifts in operation for proper evaluation of the risks to be covered and for declaration to the underwriters/brokers who will effect changes if any by way of endorsements n the respective insurance policies. · Liaising with the Head of Marine Engineering for an up-dated schedule of the watercrafts. · Liaising with the Head of Human Resources for an updated list for declaration to the underwriters/brokers who will effect changes if any in the respective insurance policies. · Liaising with the Principal Insurance Officer to ensure that the premiums charged are compatible with risks covered and as proposed at quotation stage. · Maintaining and updating of all our insurance policies and endorsement for addition or disposal of assets. · Updating schedule of assets. Reporting to the Principal Legal Officer (Contracts & Conveyancing), the job holder is responsible for handling conveyancing matters concerning the Authority which includes commercial contacts and conveyancing. · Exercising financial budgetary controls within the limit of authorized expenditure such as travelling expenses etc. · Monitoring Legal Notices in the Kenya Gazette legislation and sales of properties advertised by third parties to ensure that the Authority’s real property interests are safeguarded. · Preparing legal documents, their execution and final disposal by leasing commercial contracts or conveyancing. · Advising on documents concerning land or conveyancing. Identifying change in land law and business activities and business trends, e.g. leases and introduction of exclusive clauses and therefore advises the user division and relevant management and Board committees. · Undertaking any other specialized duties assigned by any other officer above him such as General Manager Board & Legal Services and Head of Contracts & Conveyancing. · Undertaking legal research on the law relating to land and conveyancing and keeping abreast with the development of this law. · Dealing with a wide range of contracts on legal matters within the Authority external liaison with court official, third parties and legal representatives. · Responsible for having issues arising from land and contracts disputes. Supports the arbitration process and supports the legal office. · Be a member of Law Society of Kenya (LSK) with a valid practicing certificate. · Posting of journal documents. · Reconciliation of General Ledger Accounts. · Be a Certified Public Accountant CPA (K) or its equivalent from a recognized professional body. · Ensuring that accounting records are properly maintained by checking the accuracy of general ledger accounts and supporting schedules for each account. · Preparing monthly financial statements. · Controlling closure and opening of accounting periods. · Coordinating replies to all audit queries. · Coordinating all period and end closing procedures. · Replying to audit and other Public Investment Committee’s queries. · Liaising with other departments on matters relating to ledger accounts. · Coordinating reconciliation of ledger accounts. · Controlling creation/deletion of General Ledger Master Data. · Participating in Departmental planning and budgeting meetings. · Ensuring analysis of trends in traffic volumes, shipping movements and classes of cargo are carried out. · Liaising with other units within the Department and other Departments with the view of obtaining financial data for the preparation of financial Management Information reports. · Identifying long-term financial implications of proposed actions (i.e. effect of capital expenditure project on cash flow). · Overseeing the day to day running of Management Information Unit. · Reviewing planning assumptions in the light of actual performance. · Preparing monthly, annual and long-term cash flow statements. · Calculating relevant Management Financial and statistical ratios as prescribed from time to time by the management. · Conducting financial appraisals for existing and proposed investments and loans. · Possess a Certified Public Accountant CPA (K) or its equivalent from a recognized professional body. Reporting to the Principal Procurement Officer (CTC & T), the Senior Procurement Officer (Tenders) is responsible for all tendering activities with the objective of ensuring an efficient, effective and economical service to both users and vendors. · Preparing Tender Documents in liaison with Heads of User Departments. · Preparing Advertisements (Invitations to Tender/asking for EOIs etc. ), placing notices on the Authority’s, Public Procurement Oversight Authority websites and other approved press. · Ensuring that the tender documents are properly printed and bound and availed in time to bidders. · Ensuring that opening of tenders is done as per regulation in force. · Coordinating notification to both successful & unsuccessful bidders after Tender Committee award. · Preparing Quarterly reports for management reporting, and to Public Procurement Oversight Authority (PPOA). · Reviewing Tender Evaluation Reports. · Analyzing data for the tender section. · Coordinating preparation of monthly procurement reports. Reporting to the Principal Supplies Officer (Purchasing & Supplies), the job holder is responsible for procurement of supplies, material works and service through contract/non-contract arrangements with the objective of ensuring an uninterrupted flow of those supplies, materials works and services. · Coordinating contract preparation and signing in liaison with the User, Supplier and Corporation Secretary. · Monitoring contractors’ performance in progressive management of all on-going contracts. · Analyzing variations requested as prescribed in the Procurement Act and regulations. · Coordinating of CTC action implementation through preparation of Purchase Orders to the firms which have been awarded tenders. · Ensuring that delivery is done to avoid delays on the part of Suppliers/Contractors. · Ensuring that the contract documents are properly drawn up and signed by both parties. · Maintaining up to date records for the contracted items/quantities and monitors their supply. · Generating regular reports on Suppliers/Contractors’ performance. · Ensuring maintenance of records related to contracts in the system and trigger new tendering process. · Executing workflow items relevant to contracts. Reporting to the Principal Procurement Officer (CTC & T), the Senior Procurement Officer (Central Tender Committee) is responsible for preparing Corporation Tender Committee (CTC) agenda, Minutes, and Action Paper of decisions thereafter. · Preparing Corporation Tender Committee calendar and meeting notices. · Preparing CTC memos, prints and bind CTC agenda. · Preparing Minutes for the Corporation Tender Committee. · Reviewing evaluation reports and prepare memos. · Responsible for Senior IT staff development in technical and management areas resulting in the smooth running of their departments /sections. · Keeping abreast with IT development and ensuring that KPA fully benefits on an ongoing basis from technical developments in the IT industry and continuously improving existing business processes. · Overseeing the efficient management of IT infrastructure at the port. · Overseeing all IT projects right from Management and Board approval through to their successful implementation and ensuring that the inherent risks are effectively managed and contained. · Overseeing implementation of business continuity plans and disaster recovery plans for IT systems. · Ensuring that the department runs smoothly, cost – effectively. · Overseeing provision of quality services to KPA users and other stakeholders. · Liaising with external agencies including relevant government units in order to harmonize IT systems within the Port community. Reporting to Principal Billing & Customer Relations Officer the job holder is responsible for identifying customer needs in documentation and billing activities and fulfilling them with to mutual satisfaction. Handling customers’ requests/inquiries related to their accounts, bills & services/tariff matters in a professional manner & serving all customers regardless of segment. · Preparing duty rosters and annual leave days for the section/Units, recommending overtime duties to Units/section staff where applicable. · Ensuring that brochures are up to date and in place. Issuing tariff books and other promotion materials, journals, brochures to both internal and external customers. · Handling efficiently custody items such as computers/printers in billing/Customer Care sales offices, utility equipment, stock items (invoice/statement stationery, Tariff Books, etc) and facilitating their procurement. · Providing solution to the customer’s documentation and billing needs. · Selling and promoting the Authority’s services through direct and cross selling to achieve financial goals and increase customer base & revenue. Managing groups of assigned customers and prospective accounts. Reporting to the General Manager Human Resources & Administration, the jobholder is responsible for overseeing the Administration Department functions of Time Management, Tenancy facilitation, Transport Services, Office Accommodation, facilitating internal and external communications, Schools and Clubs and Employee Wellness. · Developing, implementing and administering programs, policies and procedures for various functions and operations of the Administration Department. · Responsible for the allocation and furnishing of office space. · Responsible for gender and disability mainstreaming activities. · Overseeing general administration services including telephone services, and staff Sports & employee wellness in the organisation. · Overseeing the effective Management of KPA clubs and Nursery Schools. · Overseeing the transport and fleet management services and systems. · Overseeing the proper maintenance, safety and security of the motor vehicle fleet and deployment of staff cars. · Evaluating the performance of outsourced Transport shuttle buses with the service provider providers. · Overseeing the allocation and usage of fuel and ensuring fuel accountability. · Overseeing the management of the registry, courier and postal services in the fund. · Supervising and reviewing the performance of outsourced property managers and suppliers. · Ensuring the provision of a conducive working environment including good lighting, sufficient office space and accessibility. · Preparing papers/reports on the status of work being performed to ensure that services and programs are delivered in a safe, timely, efficient and effective manner for consideration and presentation to the General Manager Human Resources and Administration. · Be a valid member of a relevant professional body and be of good standing. · Have not less than seven (7) years’ experience in provision of administration services gained from a reputable organization. Reporting to the General Manager Human Resources & Administration Manager, the job holder is responsible for overseeing and co-ordinating Human Resources Development, Performance Management, Resourcing and Welfare activities and services within the Authority. · Staff development, monitoring performance and approving staff administrative procedures. · Controlling and co-ordinating the activities of the Human Resources Department to ensure the delivery of efficient and timely day to day Human Resources services to user departments. · Ensuring observance of statutory regulations with regard to leave and adherence to minimum wage standards and compliance to workers compensation requirements. · Overseeing the development and implementation of the Authority’s welfare policies ensuring that activities are undertaken in a cost effective manner. · Overseeing the man power planning function of the Authority ensuring the Authority has sufficient capacity in terms of staffing and skills. · Overseeing the resourcing function of the Authority. · Receiving requests from Departmental Heads and reviews options on whether to source candidates internally or externally. Chairs the intermediate staffing committee (Grade HM4 and below) and is the Secretary of the Senior Interviewing Panel (Grade HM1to Grade HM3). · Overseeing the development and implementation of disciplinary and grievances policies and advises/assists Departmental Heads on all disciplinary matters. · Overseeing the implementation of the training needs assessment/survey including the sourcing for cost effective training development solutions and evaluation of training/development activities to ensure business needs are met and is the secretary of the training committee. · Directing the development and maintenance of sound computerized HR management information system. · Assisting in conducting and developing proposals with regard to salary reviews and remuneration. Overseeing salary payroll administration and ensuring the implementation of pay/reward and employment policies, which motivate employees to deliver outstanding performance and customer service. · Assisting in the negotiations of the CBA and is responsible for implementation of agreed recommendations e.g. salary increases, leave, allowances. · Preparing in liaison with the relevant branch of the financial services division, the budget for the Human Resources Department and exercises control on expenditure. · Liaising with the representatives of workers’ organizations on matters relating to the terms and conditions or service for unionisable staff. · Be a member of the Institute of Human Resources Management Kenya with a valid practicing license. Reporting to the Head of Medical Services the job holder is responsible for providing efficient and effective administrative support to facilitate efficient provision of medical care in the Medical Department. · Ensuring that there is timely maintenance of equipment, availability of working tools and office accommodation. · Attending to all official correspondences for the Department. · Coordinating and compiling medical reports (patient attendance, admissions, referrals, MCH (Mother – Child Healthcare), Lab, sick-offs, rebates/non-rebates, etc. · Ensuring proper maintenance and safe custody of Departmental records, personal/subject files and patient files and giving direction for destruction of the records when due. · Reporting accidents /incidences in the Department. · Ensuring availability of transport (ambulances, utility vehicle) for the Department. · Preparing Departmental procurement needs and ensuring availability of equipment as per requirements and controlling the Departmental sub store. · Advising sectional Heads on rules and regulations in force which affects them in the course of their supervisory roles. · Attending to staff matters e.g. leave, sickness, acting, promotions, retirements, deaths, desertions, time and attendance. · Compiling staff disposition and submitting to Human Resource Department on quarterly basis. · Preparing orientation programs for newly employed staff, those on industrial attachment and monitoring progress. · Attending to employee needs, queries and industrial relations issues in the Department. · Monitoring and controlling expenditure of the Department and forwarding Departmental billing information to revenue accountant. · Ensuring verification of accounting documents (payment vouchers, motor mileage log sheets, duty travel forms, medical center bills, NHIF certificate of contribution paid and third party payments) and forwarding to the Head of Medical Services for approval. · Assisting in the preparation of the Departmental budget under the direction of Head of Medical Services and in liaison with section heads. · Availing, monitoring and controlling imprest cash facilities for the Department. · Ensuring compliance of the Government NHIF policies for the benefit of KPA staff in liaison with Human Resources Department and NHIF offices. · Ensuring preparation of medical bills recoverable from employees are compiled and forwarded to Human Resources Department. · Changing local purchasing orders (LPO’s) in the system to match the invoices raised by service providers. · Be a holder of a Bachelor’s degree in Health Records and Information Management from a recognized institution. · Hold a Diploma in Health Records and Information technology from a recognized institution. · Have not less than five (5) years’ experience in provision of administrative support to facilitate provision of medical care with three (3) years served at a supervisory level. Reporting to Principal Civil Engineer (Planning & Design)the job holder is responsible for designing of marine structures and supervision of the maintenance and rehabilitation of the same. · Dealing with staff matters for staff working under him including training and ensuring that there is high performance and discipline. · Carrying out research on information necessary for short and long term planning. · Formulating project design concepts and in so doing evaluates and prepare cost estimates for budgetary purposes as well as preparation of tender documents. · Holding brief with consultants on projects being undertaken. · Supervising projects undertaken by Contractors and in house projects enforcing compliance with specifications, drawings, conditions of contracts and quality. · Planning and prioritizing execution of works. · Maintaining adequate and updated records, drawings and plans for the projects undertaken and/or alterations carried to existing facilities. · Issuing completion certificates for completed projects. · Providing technical advice on modification, rehabilitation and repairs following damage to marine structures. · Be a Registered as an Engineer with Engineers Board of Kenya (EBK) with valid annual practicing license. · Be a member of the Institute of Engineers of Kenya (IEK) and be of good standing. · Knowledge in Port Infrastructure and Operations and/or Maritime industry will be an added advantage. Reporting to the Head of Medical Services, the job holder is responsible for Planning, Implementation, Coordination, Supervision and Evaluation of clinical services offered to KPA employees and their eligible dependents. · Offering specialized clinical services including, Anesthesia, ENT/Audiology, ophthalmology, reproductive health, orthopedics and trauma, child health and pediatrics, lungs and skin, dermatology and venereology, cardiovascular perfusion. · Taking history, examining, diagnosing and treating patients. · Liaising with other health personnel for efficient delivery of patient care. · Guiding and counseling patients/clients and other staff on health issues. · Sensitizing patients and clients on preventive and pro motive health. · Referring patients and clients to appropriate clinics/specialists. · Teaching of students undertaking training in their field. · Implementing community health care activities in liaison with other health workers. · Collecting and compiling clinical data. · Carrying out minor surgical procedures as per training and skills. · Assessing, preparing and presenting medico – legal reports. · Organizing health management teams and convening health management committee meetings. · Coaching and mentoring students on attachment. · A Masters in a health related field from a recognized institution will be an added advantage. · A Diploma in Industrial & Occupational Health will be an added advantage. Reporting to the Principal Projects Engineer (Electrical) the job holder is responsible for ensuring that utility (Electrical, ICT, Networks, Fire Suppression, Air Conditioning systems and other related) components of all the capital works projects carried out by or on behalf of the authority are undertaken in accordance with the work standards and within the estimated budgets and programmes. · Developing Electrical designs as per projects demand in liaison with the other Engineers and Architects. · Supervising and monitoring capital works project by liaising with his fellow engineers who work within the same project. · Ensuring that standards of work are adequate and to introduce quality control measures to monitor work carried out. · Preparing BOQ for Electrical related works carried out in the division. · Carrying out work in SAP as assigned roles by the SAP teams. · Be registered as an Engineer with Engineers Board of Kenya (EBK) with valid annual practicing license. · Preparing purchase requisition (SAP System) for LPO processing for all projects allocated to him for supervision. · Carrying out works that are not capital such as repairs to infrastructure on a need to need basis. · Serving on specific projects unrelated to civil engineering. · May be required to valuating safety of use of equipment at the port. · Providing the Principal Projects Engineer with necessary technical information on the work carried out in his unit. 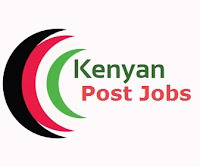 · Be a registered as an Engineer with Engineers Board of Kenya (EBK) with valid Annual Practicing License. .
Grade HM1Reporting to the Head of Marketing, the jobholder is responsible for coordinating the implementation of marketing strategies aimed at enhancing the market share of the business in a number of market segments. · Recommend, coordinate and monitor the marketing programmes, procedures and activities for the assigned market segments. · Formulate market activity plans that integrate into the comprehensive corporate plans to enable the Authority achieve its objectives. · Identify and recommend market research to ensure that the Authority has the right information. · Monitor customer issues and factors that affect market performance. · Carry out customer satisfaction surveys as required and coordinates the implementation of the recommendations. · Identify areas of new business opportunities within the assigned market segments and recommends appropriate strategies for developing these areas. · Organize and coordinate trade shows and missions, impact trips and customer visits to monitor and improve customer service. · Organize the Authority’s corporate events. · Provide leadership and performs general management duties within the assigned market segment. · Identify and recommend suitable advertising/promotional strategies/plans and liaises with the Authority advertising agency for effective execution. · of Kenya (MSK) and be off good standing.